the avella customization. 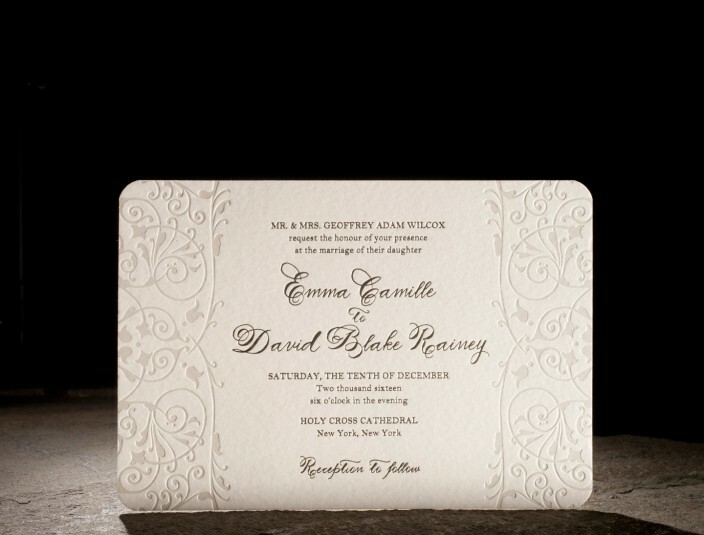 tawny matte + pearl shine foil stamped invitations. smock spencerian — an exclusive calligraphy font. rounded corners. 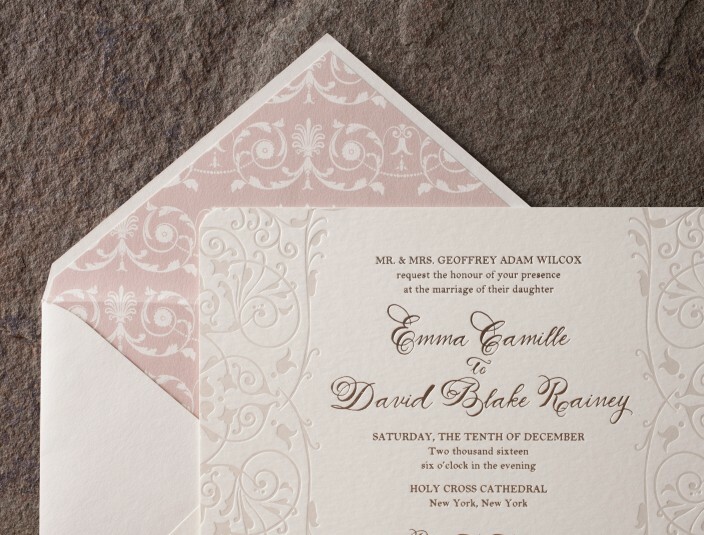 delicate patterned envelope liners.